SHANGHAI, April 19, 2017 /PRNewswire/ -- For its market launch in China, RECARO Automotive Seating, a product group of Adient plc (NYSE: ADNT), is positioning itself as a premium brand manufacturer of performance seats for sporty luxury vehicles. As part of the Adient presentation at Auto Shanghai 2017 (Hall 5.2, Booth 5BA001), the company will be presenting tailor-made products for Chinese OEM customers and for aftermarket applications in China. "We're taking advantage of Auto Shanghai to introduce our world-renowned brand to a wider audience in China," said Ingo Fleischer, vice president of global specialty seating at Adient. "We have therefore brought with us a very special brand ambassador for our trade show guests to exclusively experience: a real RECARO seat – and the chance to 'Feel Performance,' as we name it – and, the incomparable experience of driving around a virtual race track while seated in an authentic RECARO racing shell in our simulator." The 'China Edition' of the RECARO Sportster CS was conceived as an aggressive sport seat for actual use in sports cars or high-performance derivatives of volume-production vehicles. Its innovative lightweight shell with its attractive lean design ensures optimal comfort and body support thanks to pronounced side bolsters and excellent shoulder support. The 'China Edition' Sportster CS is distinguished by a unique styling with RECARO needle, RECARO brand logo on headrest and backrest shell, combined with decorative stitching in white that emphasize its dynamic contours. The second Power Performance seat that RECARO Automotive Seating will be showing is the RECARO SR-7 SK100, which is also tailored for everyday use in sports cars or high-performance derivatives of volume-production vehicles. Its firm, yet comfortable, cushioning is coupled with pronounced side bolsters and shoulder support for optimal hold. The RECARO brand values of "Superior Quality," "Safety" and "Ingenious Design" will also be conveyed by three sample seats that RECARO Automotive Seating is presenting to OEM customers at Auto Shanghai. One concept seat has been specially developed for the SUV premium performance segment, which combines a sporty design approach and performance with driving comfort. It provides an example of how the motorsport tradition of RECARO Automotive Seating can also be experienced in modern SUVs. This firm, yet comfortable, seat with its exclusive leather upholstery, adjustable backrest side bolsters and a flat seat cushion for easy entry is intended to look, feel and perform as a sport seat for active lifestyles. By showing two exclusive concept seats from its Luxury Power Performance product segment, RECARO Automotive Seating underscores its positioning in the Chinese market as a premium brand for OEM customers. Both seats offer an exclusive, sporty performance, outstanding comfort and excellent ergonomics, and are designed for use in luxury high-end sports cars. In this segment, RECARO Automotive Seating employs only selected premium materials, such as leather and perforated Alcantara. Powered adjustment features, such as an extendable seat cushion, adjustable side bolsters for maximum support, four-way adjustable lumbar support and a climate control package ensure maximum comfort. The development of autonomous driving is also changing the basic requirements of vehicle interiors and seats. 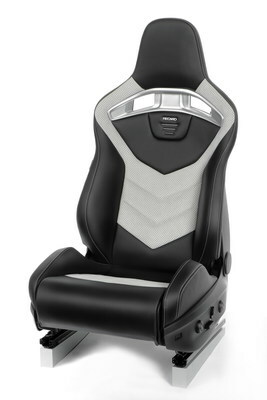 RECARO Automotive Seating is able to approach this challenge from a uniquely strong position in terms of the Chinese market. "Especially in Chinese megacities and urban agglomerations, meeting the demand for individual mobility will be focused on electric solutions," said Fleischer. "With performance cars, you have to sit deep and low in the car, which is also the case with electric cars. Following the requirements of optimal economy of space, our seats are developed with very low block dimensions. This allows electrical battery packs to be installed on the car body floor, without seats interfering with the roof." RECARO Automotive Seating also fulfills the requirements for very light, ultra-slim seats, which can contribute to electric mobility in urban environments – while offering the highest level of safety, modularity and design freedom. 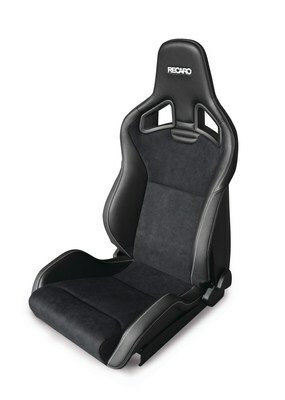 Recaro Automotive Seating is a product group of Adient plc. At eight locations in Germany, Poland, Slovakia, Japan, Mexico, and the USA, we design, manufacture, and market complete seats representative of our core competencies design, ergonomics, craftsmanship, robustness, lightweight construction, and first-class workmanship, under the brand name Recaro. Recaro Automotive Seating consists of two units: While Recaro Car Seating offers passenger car seats for OEMs and the aftermarket, Recaro Commercial Vehicle Seating focuses on commercial vehicle seats in the OEM and aftermarket segments.